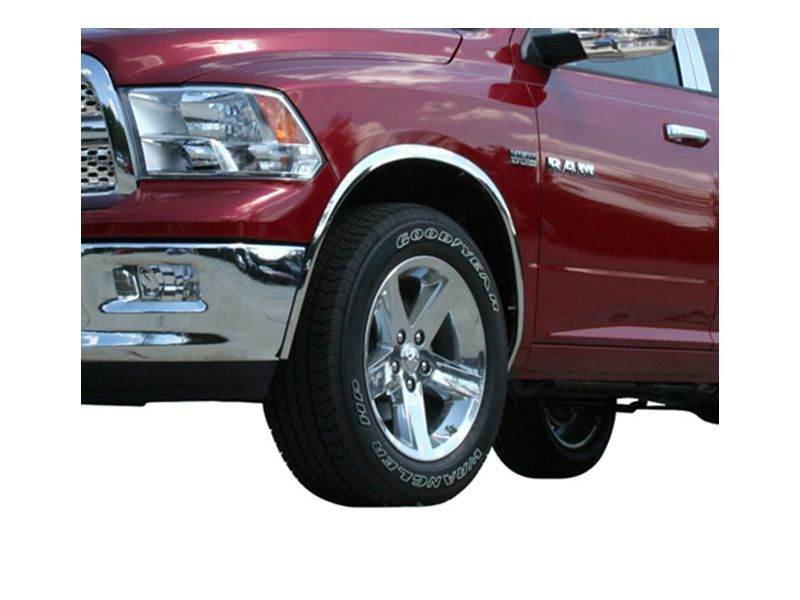 Add some flavor to your truck with CCI stainless steel fender trim. Adding stainless steel accessories help add style to your truck and protect your fender lips from being damaged by rocks or other debris. Fender trim from CCI is made from high quality 304 stainless steel. A vehicle specific design ensures that your fender trim will fit exactly as it should. CCI polishes all of their stainless steel accessories so that it will complement your other cchrome & stainless trim. Mounting a set of CCI stainless steel fender trim is simple and easy. All the mounting hardware is included with your new trim kit. This is a fairly economic way to add style and to help protect your paint from damaging rocks or debris. Be sure to complete your look with any of CCI's other stainless steel or chrome accessories!